Provide comfort for the family of Leo Willett with a meaningful gesture of sympathy. 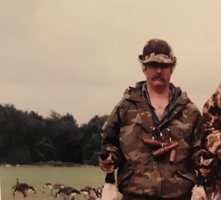 Leo J. Willett, Sr., 70, husband of Yvonne Gabriel-Willett, of Arcadia Road, Hope Valley, passed away on Tuesday, February 12, 2019. Born in Griswold, CT, he was a son of the late Eugene and Arlene Willett. Leo was employed as a supervisor for Electric Boat in Groton. 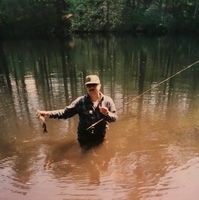 He enjoyed hunting, bird watching and fishing, and tied his own fishing lures. He also enjoyed watching Patriots football and baseball. 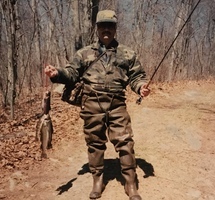 In addition to his wife, he leaves his son Leo J. Willett, Jr. of Connecticut; his daughter Deanna Peck of Mystic; and a brother Paul Willett and his wife Cathy of Pawcatuck. To plant a memorial tree in honor of Leo J. Willett Sr., please visit our Heartfelt Sympathies Store. 0 trees have been planted in memory of Leo J. Willett Sr.